Pair will help with oversight of Justice Dept. 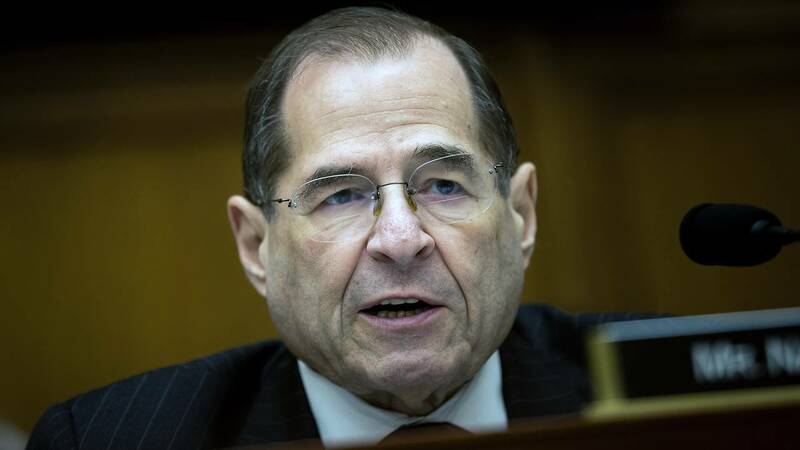 (CNN) - House Judiciary Chairman Jerry Nadler, a New York Democrat, has hired two legal consultants who have advocated for the impeachment or possible indictment of President Donald Trump for obstructing justice. The House Judiciary Committee announced Tuesday it was hiring former Obama administration lawyer and ethics watchdog Norm Eisen and high-powered criminal defense attorney Barry Berke as special oversight counsels for the committee, where they will help craft the panel's plans to investigate the President and his administration. The pair will be tasked with helping the Democratic-led committee with oversight of the Justice Department — including the review of special counsel Robert Mueller's investigation — as well as other oversight matters in the committee's jurisdiction. The new hires are the latest sign of House Democrats ramping up to probe every part of Trump's life, from his personal finances to his businesses to his 2016 presidential campaign. They also signal that Nadler is thinking about the possibility his committee could pursue impeachment proceedings against the President, even if he hasn't decided to take that step yet. "Congress has a constitutional duty to be a check and balance against abuses of power when necessary. Before anything else, however, we have to follow the facts and conduct the sort of oversight that has been completely absent over the last two years," Nadler said in a statement announcing the hires. Nadler has been careful around the question of impeachment, saying it's still too early to talk about the prospect. But Eisen and Berke will help lay the investigative groundwork that the committee will have to undertake — with or without details from Mueller's investigation — ahead of any potential formal impeachment process, and could help advise the committee if issues like access to Mueller's report or Executive Branch documents end up in court fights. A committee source said Eisen and Berke were not being hired as impeachment counsel or to lead a possible impeachment process. Rather, they will help the committee with document requests and other steps that will lay the groundwork for the committee's investigative agenda. There's little question where the committee's new lawyers stand on the impeachment question, as Berke and Eisen have teamed up in recent months to criticize Trump and outline the steps for his possible impeachment by Congress. Eisen, Berke and lawyer Noah Bookbinder published think tank treatises in 2017 and 2018 outlining what they see as a case for impeaching or indicting Trump for obstruction of justice. The legal assessment included a roadmap for what they believe Congress can do once Mueller reveals his legal findings, and given Trump's negative reactions to Mueller's work. Even without Mueller's final report, the attorneys wrote their research led them to believe "the president likely obstructed justice, a conclusion even more strongly supported by the evidence now." They cite Trump's firing of former FBI Director James Comey, his actions toward former Attorney General Jeff Sessions and other senior Justice Department officials and his threats to fire Mueller, among other actions. The pair brings serious legal chops, especially regarding ethics and financial matters, to support what Democrats are planning. Berke, a well-known trial lawyer who's based in New York, has co-led one of the top white-collar litigation practices in the city for years. He previously represented New York Mayor Bill DeBlasio in a corruption probe related to the 2013 mayoral campaign. He's also handled high-profile defenses involving bankers, insider trading and other complicated financial matters — like the case of former Deutsche Bank broker David Parse, who was accused of participating in one of the biggest tax fraud cases in history. In that matter, Berke notched a win by cutting a settlement for Parse after a judge threw out jury convictions for the fraud because a juror was not truthful. Berke represented a Las Vegas sports gambler caught on insider trading charges in a case that was connected to pro golfer Phil Mickelson, who was never charged. And Berke succeeded in getting a court to force the US government to return 10 extremely rare 1933 "double eagle" gold coins to a family from whom they were seized. Eisen, the former US ambassador to the Czech Republic, is already working on a case related to the core of what Congress may investigate. He's among the team assisting the state attorneys general of Maryland and the District of Columbia as they challenge Trump's connection to his Trump International Hotel in Washington. In that case, the state attorneys general contest the President has received illegal payments from foreign governments and other states because his ties with his company were never completely severed. The case is currently paused for an appeal. It's running alongside a different case, brought by Democratic members of Congress, that similarly attacks Trump's ties to his businesses and the Constitutionality of payments governments make to the Trump Organization. Eisen is board chairman for the watchdog group Citizens for Responsibility and Ethics in Washington, which he co-founded. He served in the Obama White House as special counsel for ethics and government reform. Eisen also worked for CNN as a political commentator. He is no longer a contributor.